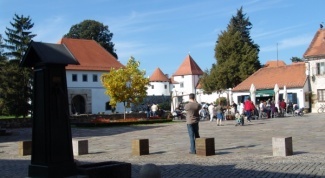 Varazdin is one of the most beautiful and best-kept cities in the continental Croatian. 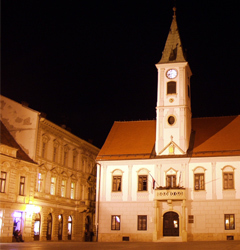 Since its founding and troughout the development of the Middle Ages until today, Varazdin has always been a city that its residents love, and guests admire and praise. 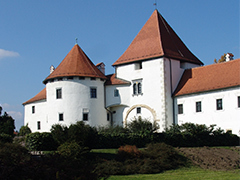 Private accommodation Ivančica consists of two studio apartments located in the historic downtown of Varazdin, in the courtyard of the palace Hinterholzer built in 1772. The apartments are located on the edge of the pedestrian zone and they are accessible by car. To our guests apartments Ivančica offer stay in the center of one of the most beautiful towns in Croatia at affordable prices. All city attractions are located at a few minutes walk from the apartments and accommodation in the city center allows guests to return at any time to the apartment either to take some resto or prepare a meal. 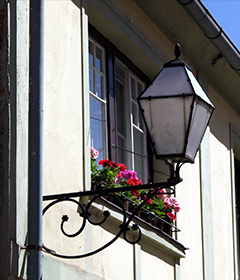 The apartments are located within the historic center of Varazdin and on the edge of the pedestrian zone. In close proximity (50m) is an underground garage, and nearby is the bus station (200m). The apartments can be reached by car, where is a parking lot, but the use is available outside working hours of the office located on the ground floor - from 4 PM to 8 AM on weekdays and throughout the weekend.